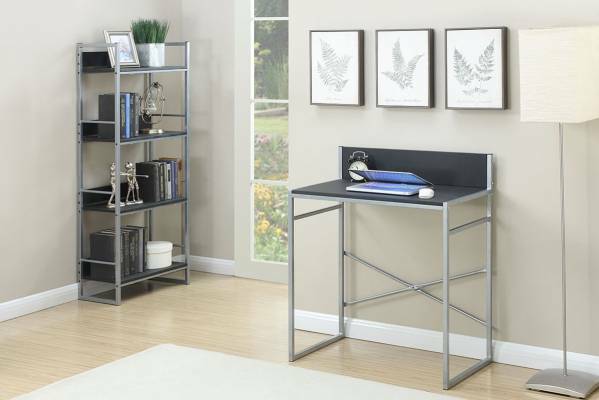 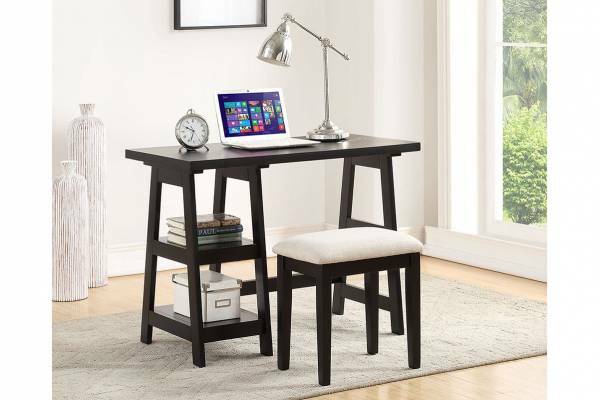 Create a space to dream, plan and grow with this work station constructed for space saving and functionality. 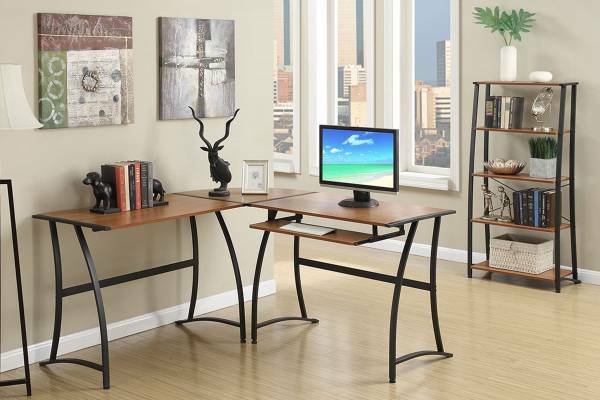 Available in with a glass or wood tabletop. 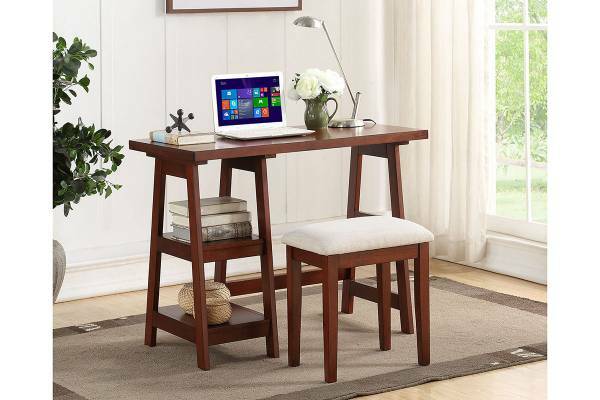 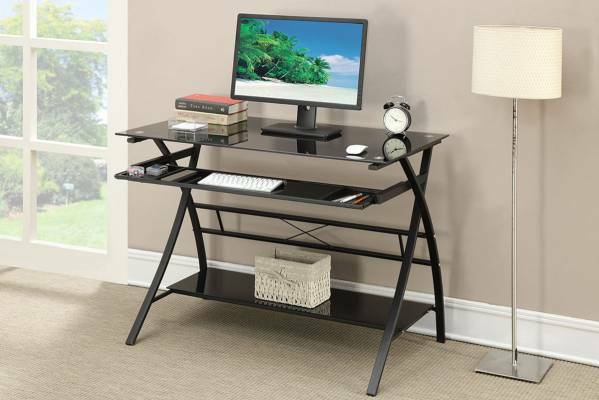 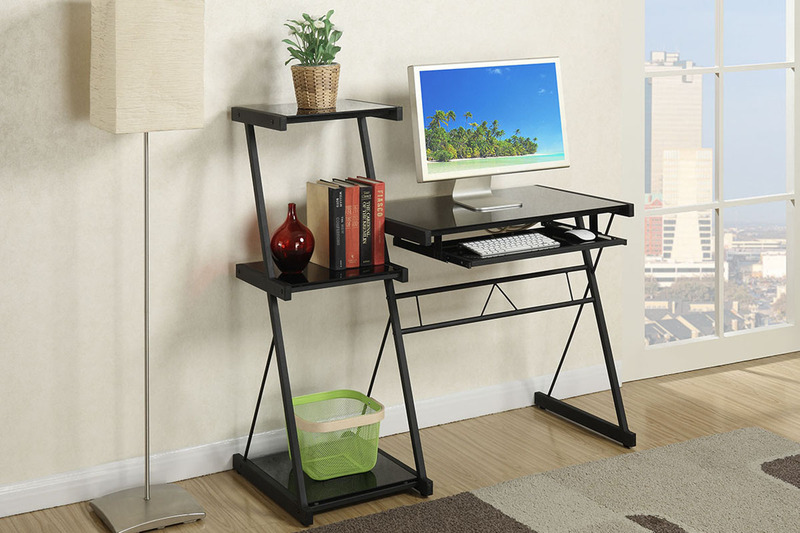 Set includes a table with keyboard tray and shelf.